The Bittering family lands on Mars and the father, Harry, is already a bit resentful and would like to return to Earth. They have left Earth in fear how it will self-destruct under the power of the atom bomb. However, the family settles into life in the Martian town while Harry continues to long to return to Earth and even begins to rebuild his own spaceship to get him there. He becomes worried about the Earth-life on Mars that is slowly being changed. Peach blossoms do not produce the same kinds of peaches that were on Earth. Harry refuses to eat and food grown on Mars. He slowly digs into the preserves while his family and everyone else eats Martian food. He notices changes in his family and others. Their eyes slowly turn golden and their skin darkens. People are becoming taller and thinner as well. More changes come as somehow, Martian words slowly become used in lieu of standard English terms. Eventually, the entire town decides to move up into the mountain pavillions where the Martians originally lived and abandoned the Earth-made town. Years later, when more rockets land and find the town abandoned they encounter the humans-that-are-no-longer-humans and perceive them as Martians. This is the essential Bradbury story. We have nostalgia for the past (Harry wanting to keep life on Mars the same as it was on Earth), fear of the present (establishing Mars because Earth is going to self-destruct in an atomic war), and transformation (or even corruption) of humankind (into Martians). We also have the forgotten past and the man against society (Harry's battle to return to Earth despite everyone else being happy on Mars). 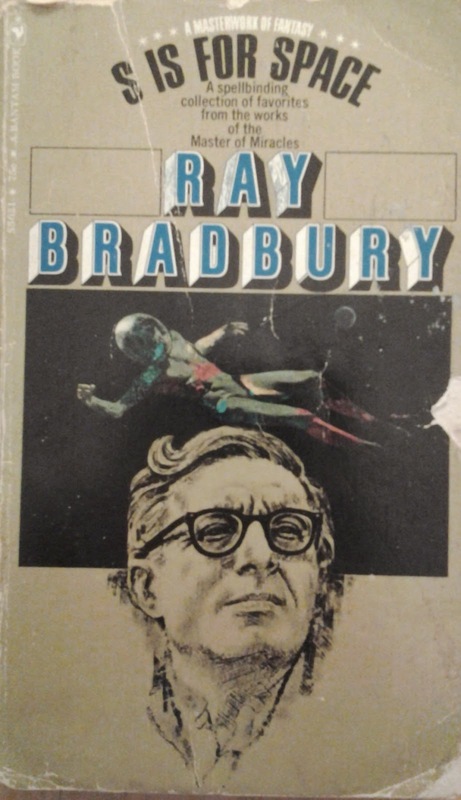 It's probably one of the better versions of Bradbury's Mars tales--it flies above in some ways, The Million Year Picnic in this same edition--but because he's written this type of tale so often, the power of this is diluted.